Polk State College is in the business of providing access to affordable, quality higher education, and Polk State’s Student Success Advisors are in the trenches of this life-transforming work. At Polk State, 75 percent of students attend part time, and the average student age is 25. Many of these individuals are balancing the responsibilities of raising their families and working full-time jobs while also managing their studies. Fifty-two percent of the College’s enrollees are first-generation-in-college students. 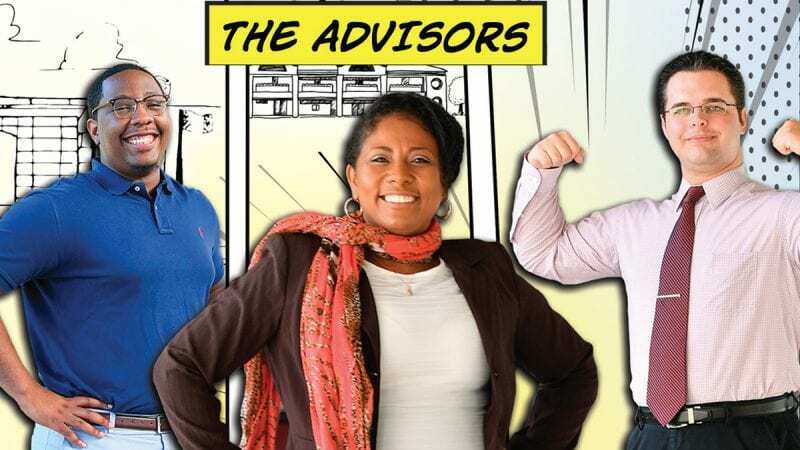 As perhaps the first in the family to ever step foot on a college campus, for these students the connection to advisors is critical — many do not have a support system, resources, or experienced mentors to help them navigate the academic environment. “When I was struggling to get to class, my advisor believed in me and went the extra mile to help me stay on track,” said Roxane Aupont, who graduated with a Polk State Associate in Arts degree in December 2018. When Aupont was 15, her mother sent her to the U.S. from Haiti in search of a better life. She received her high school diploma at 16 and enrolled at Polk State in the fall of 2016. Aupont plans to pursue a bachelor’s degree in World Languages and Cultures at the University of South Florida and aspires to serve as an interpreter for the United Nations. It is often advisor-student interactions, as shown through the relationship between Aupont and Garcia, which truly transform students’ trajectories. That is why Polk State continues to advocate at the state level for additional recurring operational support to expand services that are proven to enhance student retention and completion rates. The College secured $500,000 in recurring operational funding during the 2018 Legislative Session, allowing Polk State to hire seven new Student Success Advisors – three for the Winter Haven Campus, three for the Lakeland Campus, and one for the Polk State Clear Springs Advanced Technology Center in Bartow. In addition to adding to the overall services provided through the College, this funding will help reduce the number of students that each individual advisor is responsible for, enabling quality, personalized interactions to remain the cornerstone of Polk State. The College will advocate for additional recurring operational support during the 2019 Legislative Session to continue its enhancements to student services. This article appeared in Polk State College’s 2018 Report to Community. The full report is available at bit.ly/2WP75pQ.